If you’re looking for places to stay in the Finger Lakes that are peaceful and filled with rich history, Fingerlakes Luxury Rentals reminds you to look no further than Skaneateles. 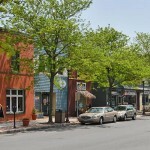 This quaint village takes its name from the Native American expression for “long lake,” because the town is nestled next to a pleasantly long Skaneateles Lake. On crisp, clear days visitors can stroll along the lake and enjoy its scenic beauty, as countless others have done since before there was a town. The lake isn’t the only spot in town to see, you can easily take a casual walking tour around the village for a bit of relaxation and historical enlightenment. During the early days of the village, people were drawn to its idyllic surroundings, just as many people are today. After its first incorporation as a village in 1833, Skaneateles attracted a number of prominent people who created factories and shops, and built fine homes for their families. Many of these homes are still around and you can gaze at them while walking downtown and neighborhood streets. There are also a good number of stately vintage homes dotting the lakeside areas. As the village grew in size, vacationers with financial means flocked here to indulge in a water cure established by one Dr. Jackson. During this era, Skaneateles was a popular summer resort spot. Finger Lakes Vacationers stayed in cottages or at a spacious hotel. The special water that provided supposed health cures came from a local mineral spring. While the exact location of some of these old tourists locations are lost to time, you can still enjoy discovering hidden streams and waterfalls in some areas. The village has put in a lot of effort to restore old homes and buildings to their former state, and you’ll see this up close during your walk. Like many communities in New York State, local residents have a strong commitment to historical preservation of older buildings. This is why the village feels culturally vibrant, even though many structures are over 100 years old. Stop and admire the various architectural styles and details. You’ll appreciate structural details that are no longer a feature of modern architecture. In Skaneateles, the past meshes beautifully with the present. Village historical accounts note that many colorful and interesting people once graced these village streets, homes, shops, churches and city buildings. We’re happy to say that not too much has changed, except there are many more people living here, and a lot more good people coming here for their relaxation cure. Oh, and you can drive here instead of traveling by horse and buggy – thank goodness. Take a moment to book one of our cozy Skaneateles vacation rentals today. Enjoy a little history and a whole bunch of recreational fun. Now that you’ve settled into fall, it’s time to start thinking about what to do during those days leading up to the holiday season, and how you’re going to spend Thanksgiving weekend. If you’re thinking about a Finger Lakes vacation and need some suggestions about what to do around the region, we found some fun things happening in the area this month. Communing with nature is both fun and educational when you go on a guided bird walk at the world famous Cornell Lab of Ornithology. Discover things you never knew about birds and bird habitat while walking a scenic outdoor trail at Sapsucker woods. Tours are given on Saturday and Sunday mornings. November is an election month for men and women who are proud to participate in our democracy. Voting is a right that was fought for with passion by women such as Susan B. Anthony. Ms. Anthony’s legacy lives on at a museum dedicated to sharing the historical importance of her efforts for women’s suffrage. Visit the museum for an hour or two and enjoy its many artifacts, photos and interactive displays celebrating Ms. Anthony’s life and work. Hurry and grab your tickets to see Diana DeGarmo and Ace Young head up a fantastic Broadway production of this all-time favorite musical. DeGarmo and Young, both past American Idol performers, help bring Andrew Lloyd Webber and Tim Rice’s musical score to brilliant life. This biblical inspired musical is about the adventures of Joseph who experiences trials and triumphs after being given a dreamcoat by his brothers. Come out to the scenic Granger Homestead for the annual Christkindle Market event. Hop aboard Molly the Trolley and visit over 100 shops, restaurants and galleries. Be entertained by live music while indulging in tasty foods, beer, grog and wine. There’s a lot to see and do at the market so dress comfortably and get ready to shop, eat and see lots of beautiful handcrafted items and art. Stay at one of our Skaneateles luxury vacation rentals and spend a day at the zoo admiring the animals and their creative “artwork.” Stroll around and view amusing and amazing artwork pieces created by various zoo animals. You’re sure to be inspired by art created by feet, paws, hooves and trunks. Artwork can be purchased at the evening sale and auction. Find hidden treasures while learning about Finger Lakes Wine. The tour begins at King Ferry Winery where you’ll be treated to a tour of the winery. Next, you’ll get to sample varieties of wine paired with locally made cheeses. The tour continues on to Pumpkin Hill Bistro where you’ll dine on a three course lunch featuring foods made from local sources. After lunch, more wine tasting (and chocolate) follows. Begin your holiday celebrations by staying at one of our warm and cozy Finger Lakes vacation rentals. Book a weekend or a week and enjoy scenic beauty as you browse, shop and enjoy delicious local foods and wine.